A section of the winding staircase of the Belfry of Bruges. The Belfry (or Belfort) is a medieval bell tower standing above the Markt in the historic center of Bruges. The first stage was built in 1240, with further stages on top built in the late 15th century. 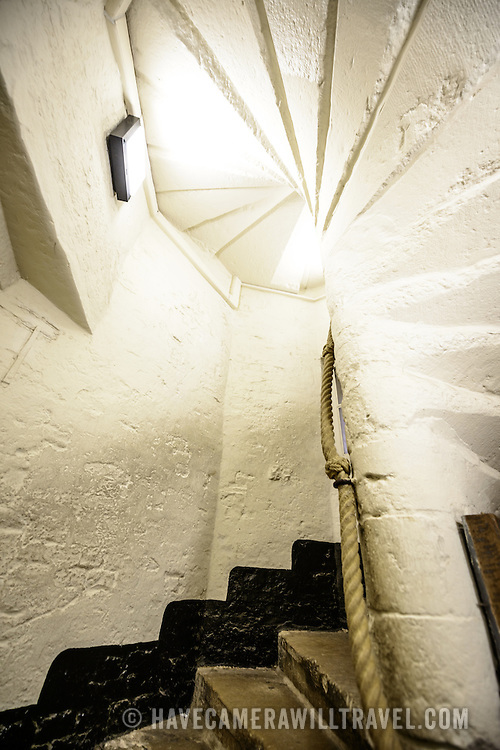 Visitors can climb some of the 366 steps to the top of the tower.